The competition for a place in one of your TV’s HDMI ports looks set to get fiercer, with Qualcomm showing off its take on the streaming adapter, a Snapdragon-based mini Android computer smaller than a box of matches. Dubbed the Qualcomm 4K Streaming Adapter, the bright red box – currently a working reference design – squeezes what’s effectively a full Android smartphone, albeit without the touchscreen and battery, into a plug-and-play dongle for your home entertainment needs. While we’ve seen streaming sticks before, what we haven’t seen is such a comprehensive range of wireless options: everything from the latest WiFi, though to LTE Broadcast support, and more. From the outside, Qualcomm’s prototype isn’t especially dramatic, color aside. It’s what’s inside that counts, in this case a Snapdragon 800 processor – the current 4K Streaming Adapter was developed before the Snapdragon 810 was quite ready, though there’s internal chatter of a possible upgrade – and the various modems and radios that come with that. There’s also a full copy of Android. Exactly what you see when you plug the adapter in will depend on the requirements of the eventual manufacturers, Qualcomm explained to me. Some, for instance, may want nothing more than a “now check your phone or tablet to play content” message on-screen, leaving full control – Chromecast”casting” style – to the remote mobile device. However, there’s no reason why there shouldn’t be some sort of on-screen interface that’s locally hosted or, indeed, a full Android computer with support for wireless peripherals. 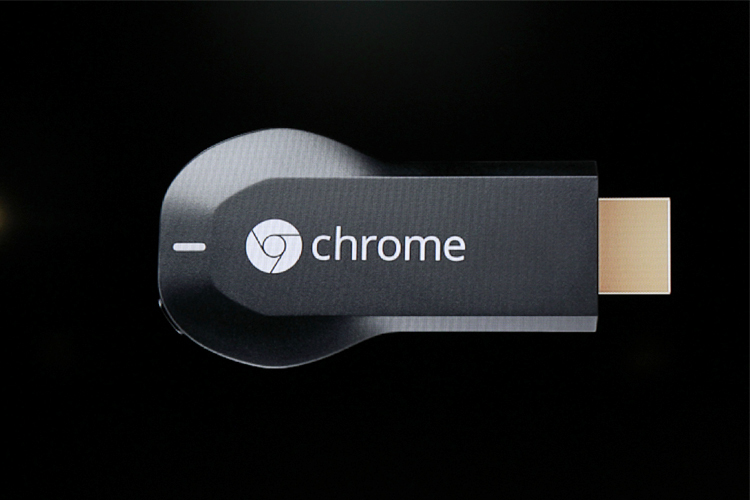 No matter the UI, the idea is that the dongle bridges the gap between TV and remote content. That could be streamed over WiFi 801.11ac or even LTE-U (LTE Unlicensed; effectively using the 5GHz band to run an LTE network separate from the traditional carrier’s 4G network), or alternatively beamed in from an LTE Broadcast base-station somewhere. LTE Broadcast, if you’re not familiar, takes a one-to-many approach to transmission, rather than one-to-one as per using 4G for streaming currently. It shows far more restraint when it comes to bandwidth use, but still with the ability to include dynamic content, like customized adverts tailored by location or individual user. It can also be geo-located, so that different screens would display different content based on where they were physically positioned. So far, so good, but I’ve seen my fair share of impressive prototypes and then been disappointed to find that they never actually make it to market. 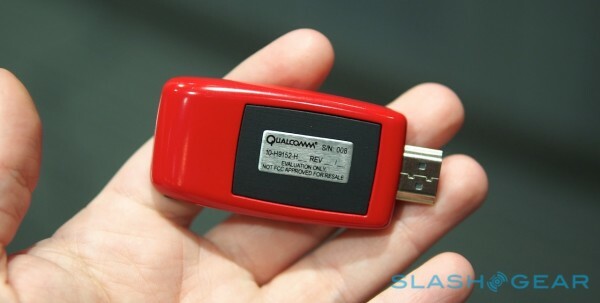 Interest from OEM partners in the 4K Streaming Adapter has been strong, Qualcomm tells me, though it can’t confirm any names or whether there are production plans in the making. If it does get the green light, they expect it would be “competitive” with the current streaming dongle marketplace, thus taking on products like Google’s Chromecast and the Roku Streaming Stick.